The first detailed study of the ancient minster town of Southwell is reprinted in full over 200 years after it first appeared. 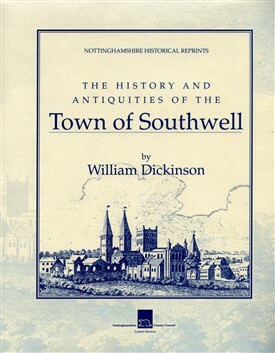 William Dickinson’s History of Southwell is a major achievement in early local history writing. At over 400 pages and using manuscript sources (many of which no longer survive), Dickinson includes a mass of fascinating anecdotes relating to Southwell’s past which are not found in any subsequent work. The book first appeared in 1788, was reprinted in 1801-03 with amendments, and proved so popular that it ran to a third edition in 1819. It is this last, most thorough edition which has been used for this reprint.